Universal rack mount bracket for fitting Cateye rear lights too. 50, 65 and 80mm bolt spacing. Compatible with Cateye Reflex, Reflex Auto, TL-LD1100, TL-LD610, TL-LD270, TL-LD150 and TL-LD130 rear lights. Comes with screws for fixing. If you want a cateye light on the very back of your pannier rack and you rack has the standard holes at 80mm or 50mm apart then this is the bracket for you! It simply screws onto the back of the pannier rack and there's even a little screw you can use to stop the light jumping out of the bracket on bumpy terrain. If you plan to remove your light after every ride as I do, the little screw might get annoying. Personally I double wrap an elastic band over the light / fitting connecting so it won't jump out. The bracket alone is almost certainly strong enough to keep the light in anyway. If using with the cateye spacer X can the rapid X3 be used with this mount? Yes this is a suitable set up. Can I use this with a Cateye RR-LD500? 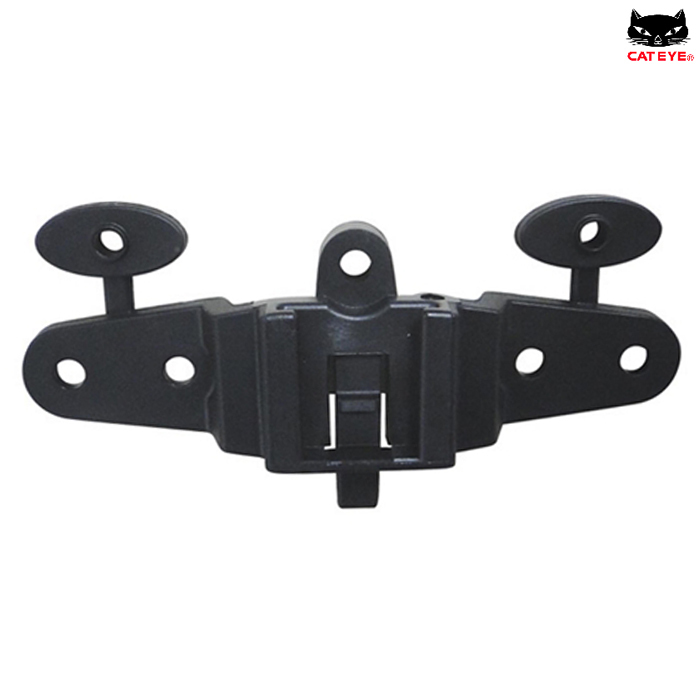 Thank you for your enquiry, I can confirm that this bracket will work with the Cateye TL-LD500 rear light.